This book was produced by the Forensic Service in South West London and St George’s Mental Health NHS Trust. It contains 14 narrative accounts of people’s journey through forensic services and out into the community. The stories were collected in 2009 and 2010 from people now living in the community who were previously in-patients within the Forensic Service in the Trust. 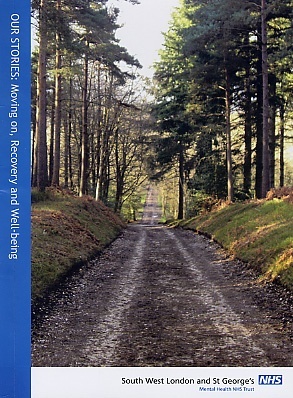 The purpose of this booklet is to demonstrate how people moved on from really difficult experiences, to share their thoughts, experiences and advice for the benefit of others who may be in similar situations. One of our aims is to show that people can, and do, move on and live the sort of lives they want to live and to inspire hope in others that recovery is possible.